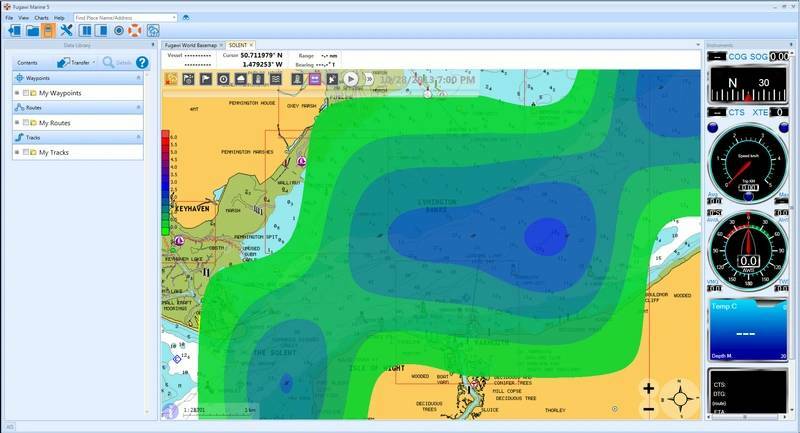 Software developer Northport Systems Inc. has announced the latest enhancement to its innovative Fugawi Marine 5 marine navigation software, Theyr Weather. 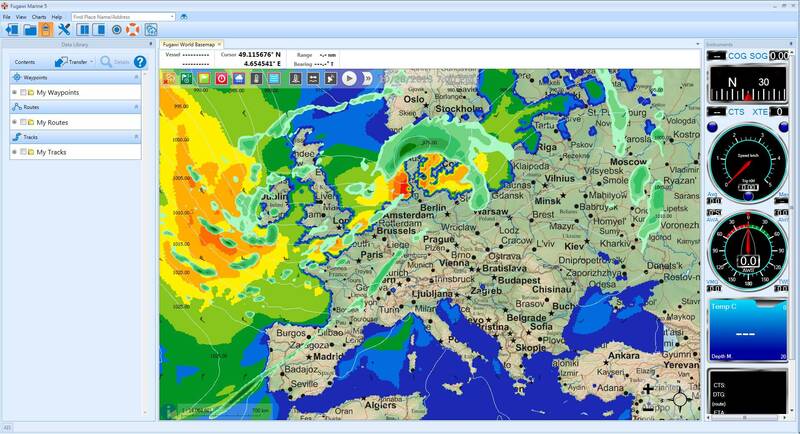 Fugawi Marine 5 allows for simple download, management, and display of high-resolution weather data from the X-Traverse web service, eliminating the need to sift through low quality GRIB files from multiple, hard-to-find sources. Whether planning a multiday journey or trying to spot the biggest wave, Theyr’s GRIB data keeps boaters informed of the weather conditions most relevant to their on-the-water excursions. A premium, subscription-based add-on to the powerful Fugawi Marine 5 navigation solution, Theyr Weather gives boaters access to current and forecasted wind, precipitation, air pressure, wave, sea surface temperature, ambient temperature, and tidal stream information. Additional condition information including live buoy data is scheduled to enhance the feature-packed weather data. Available through Northport’s X-Traverse cloud service, boaters can purchase the weather data they need in various monthly allotments as standard or premium packages. Offering detailed coverage for North and South America, Europe, the Atlantic, South Africa, Australia and New Zealand, Fugawi Marine 5 delivers access to the very best weather data on the market. Fugawi Marine 5 gives navigators the ability to plan trips at home, in the office or on the go, and then navigate via a PC as a standalone navigation system or integrate it with a chartplotter at the helm or below deck. The software provides ultra-fast downloading, as well as smooth and responsive panning, zooming, and viewing of multiple charts for unrivaled planning and situational awareness. With support for Navionics Platinum+, Gold and HotMaps cartography; S-57 (NOAA ENC), Primar and Chartworld S-63 encrypted S-67 charts, NOAA RNC and Canadian Hydrographic BSB Charts, NV charts, Hilton, Blue Latitude, Waveyline, and Solteknik charts, subscribers to the Fugawi X-Traverse cloud service can quickly download and install the charts of their choice alongside the new Theyr Weather data. Fugawi Marine 5 also allows seamless transfer of waypoints, routes, and tracks in a variety of file formats to leading chartplotters and GPS units via wireless or media cards such as CF, micro SD, SD and SDHC. Theyr weather data (also available for iNavX users) will be available to Fugawi Marine 5 users through Northport’s X-Traverse cloud service with packages ranging from US $9.99 for a 1-month standard subscription to $149.99 for a 12-month premium subscription.